Heralded as one of the biggest launches in the history of consumer electronics, Kinect for Xbox 360 has secured a prized position in the Guinness Book of World Records as the fastest selling consumer electronics device in a 60 day period. Reaching the 8 million mark in the first 2 months of its launch, Kinect on Thursday has achieved another milestone by crossing 10 million units of sales. Jaspreet Bindra, Regional Director Microsoft Entertainment and Devices Division India said, "This is an extremely proud moment for everyone who has been associated with Kinect and has played a part in its phenomenal success. Our entry into the Guinness World Records in itself is a testimony to how people across the world are embracing this innovative and revolutionary technology." 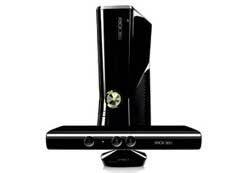 Kinect in its foray into the record books has outsold top sellers such as Apple's iphone and ipad. Gaz Deaves, Gaming Editor for Guinness World Records. "According to independent research, no other consumer electronics device sold faster within a 60-day time span." Guinness World Records said that Microsoft sold eight million devices between 4 November last year and 3 January at an average rate of 133,333 a day. Kinect is a add-on camera device for for Microsoft's Xbox 360 games console which uses infrared technology to track body movements of the gamer. Microsoft added that the success of Kinect has also helped boost game sales. More than 10 million games have been sold worldwide to date, it added. But despite the strong sales of Kinect, in January Microsoft reported profits of $6.63bn for the last three months of 2010, down from $6.66bn a year earlier.